WWE SmackDown Live Results: The Tuesday night episode of World Wrestling Entertainment returns tonight. The live streaming and results will be updated here at the time as it starts at 8 pm ET on WWE Network. Until then, let’s have a look at its preview, spoilers, and predictions. In today’s segment of weekly SmackDown Live, we will see AJ Styles squaring off Jinder Mahal just five days before the much anticipated WWE Backlash 2017. It is going to take place on Sunday, May 21. Tonight, Kevin Owens will be hosting an episode of The Highlight Reel. Watch: NBA Draft Lottery 2017 Live Stream. In another match, Randy Orton will lock horns with Baron Corbin in the final show prior to the PPV. 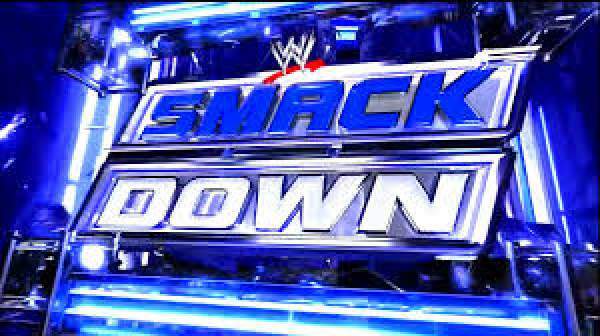 If you want to enjoy watching WWE SmackDown, you can watch it online on the USA Network which starts at 8 today. The results will be available soon. In Backlash, we will see Randy Orton defending his World Championship title against Jinder Mahal in the main event. But, Orton has a big match tonight. Let’s see if Orton gets to win one of his big battles. What do you think will Mahal interfere? Check: NBA Draft Lottery 2017 Results. For May 16, Mahal has a fight scheduled with AJ Styles. It will be an interesting game to watch out for. On the other hand, Styles has challenged Owens for the Sunday pay-per-view match for the United States Championship. But, for it to happen, he will have to undergo the World Championship’s number one contender. What are Styles odds according to you? Will Owens interfere and results in Styles losing the match? In other Backlash matches, Naomi, Becky Lynch, and Charlotte will face Natalya, Carmella, and Tamina in a tag team match in women’s division. But, before that, these six have to sign a contract tonight which may end as a result of brawling in the ring. Kevin Owens will host an episode of The Highlight Reel after officially taking Chris Jericho out of the action. He will be stealing his place too. Let’s see in the show what does Owens has to say about the segment? Will it define the storyline set for Sunday for them? Rusev is expected to return tonight as he has been absent for several months now due to an injury. Before returning, he made it clear that with his return, he will have a title match at WWE Money in the Bank 2017. Let’s see if Shane McMahon or Daniel Bryan allow his demands. Is it going to be an announcement for the MiTB? Stay tuned to TheReporterTimes for latest WWE news and sports‘ updates around the world. Previous articleLucifer Season 2 Episode 17 Spoilers, Air Date, Promo for ‘Sympathy for the Goddess’!! !